Car enthusiasts understand that not all cars are created equal. The effort it takes to keep a show car in pristine condition is far greater than the effort it takes to keep the casual driver’s economy car clean. 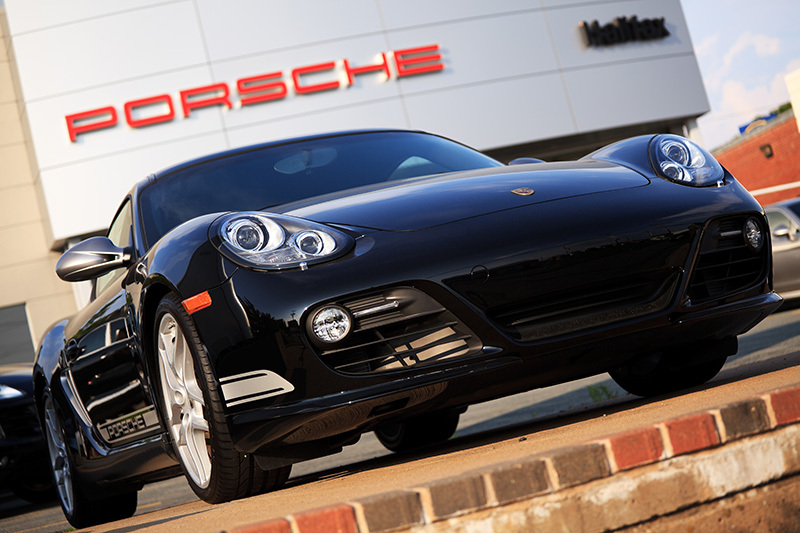 As a luxury car owner and Porsche mechanic for over 25 years, I have witnessed many high-end car owners let the exteriors of their vehicles deteriorate because of inadequate washing or overexposure to the elements. It’s a shame to see great cars deteriorate from neglect, and as carwashers and detailers, you are one of the first lines of defense against poor exterior upkeep. You are able to politely educate your customers with a few of these helpful tips for washing and maintaining their luxury vehicles. Carwash owners understand how the elements can wreak havoc on a car’s exterior finish. This applies to all cars, but luxury vehicle owners have a greater incentive to keep their vehicles out of the elements when possible and wash them quickly if exposure is unavoidable. Many drivers hold the misconception that things such as bird droppings, dirt and oils aren’t hurting their cars because they can be washed off at any time, but this belief is incorrect. Bird droppings and oils that get splashed onto a car contain mild acids that can slowly erode a vehicle’s paint. Let your customers know that if they want to keep their high-end vehicles in perfect condition, then they must wash their cars as soon as possible after exposure to damaging elements. I compare the grime that gets on a car to the grime that can get on your teeth; if you drink coffee and smoke cigarettes, then your teeth can become yellow and stained. A car’s finish is the same: If you ignore the buildup and debris on your vehicle’s paint, then eventually it can decay. High-end vehicles should also be kept out of the rain, if possible. Most show car owners understand this and pride themselves on never taking their vehicles out on a rainy day. However, a luxury car owner that drives his or her car for regular transportation may be unable to avoid driving in the rain. Let your customers know that if their cars get rained on or sprayed with a lawn sprinkler, then they should have their cars washed as soon as possible. This is because rainwater can activate dry sediment on the finish that can then damage the exterior of the vehicle if not removed. I suggest to my luxury car customers to invest in a monthly carwash membership. My shop is located in Arizona, which means my clients have to be aware of the damage the sun can do to the exterior of a car. UV rays can destroy the exterior of a car by breaking down the paint. This can lead to a peeling, cracking and faded paint finish. Fortunately, regularly cleaning and sealing the paint with a UV protectant can prevent much of the damage caused by UV rays. When a vehicle is washed, it is important that some form of sealant or wax is used. Waxing a car doesn’t just make it shine — it also protects the car from the sun and elements. I recommend using synthetic wax since it can be more effective than natural waxes. Luxury car owners who cannot avoid parking their cars in the sun regularly should also use a car cover; however, it is important to make sure that when using a car cover, the paint is clean, dry and free of dust beforehand. When storing a vehicle with a cover, it is important that the cover is removed periodically to clean any dust or debris that may have blown up under the cover. I have seen paint get destroyed by well-intentioned owners covering their cars outside for long-term storage only to remove it after a month and find the paint “sanded off” because of the dust that was trapped between the cover and the paint. Many customers want a simple cleaning when they come to the carwash, but convincing luxury car owners to spring a few extra bucks on a more thorough wash can help them in the long run. It is worth it for luxury car owners to pay a little bit extra to get their wheels washed. Wheels take a beating from brake dust and outside elements. Brake dust contains small iron particles. When these particles are exposed to moisture, they will rust into the finish of the wheel. It is important to note that if a wheel gets wet, it must also get cleaned before damage occurs. The customer should have his or her luxury car tires cleaned. If you do use tire shine, wipe off the excess. Even when a car has been recently cleaned, you can tell if a vehicle has not been maintained for its entire life. When a customer brings a new car in for its first wash, let your new customer know how important regular upkeep is and how doing simple things like vacuuming consistently can add years to the life of the car. Many carwashes offer free vacuuming services, so let your customers know that they are encouraged to use them. 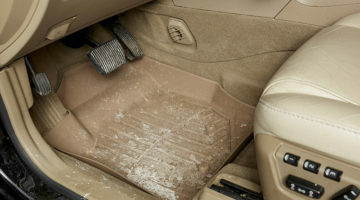 Luxury car owners should vacuum their cars at least once a week, because every time a dirty shoe rubs against the carpet, it can cause damage to the carpet fibers. Rocks, gravel and sand all cause abrasions to the interior of a car. The longer the inside of the car is dirty, the more damage it is doing. I compare owning a luxury car to owning an expensive suit. If you spill something on your high-end suit, you immediately clean it off to avoid staining it. If you would do this for your luxury suit, why wouldn’t your customers do the same for their luxury cars? Dan Warner is the founder and owner of Exotic Motorwerks in Scottsdale, Arizona. He has been a Porsche enthusiast since he was very young and takes pride in the aesthetic maintenance of his own cars, ensuring that they are cleaned and cared for regularly.